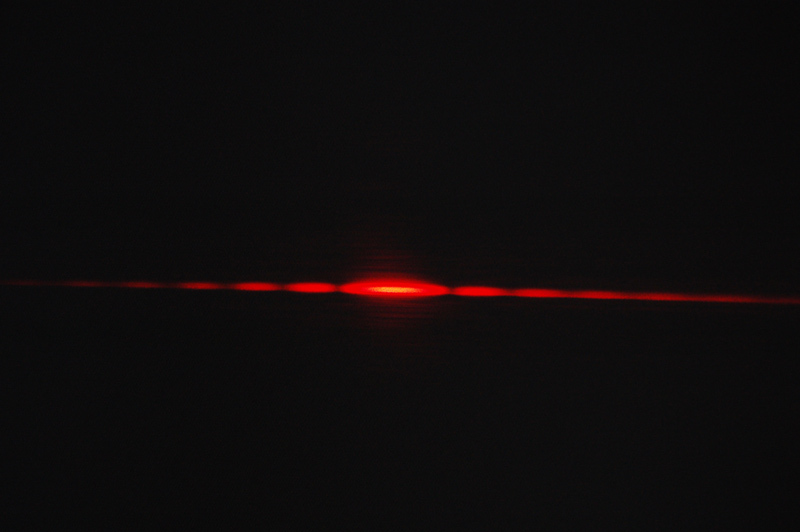 Description: Using a variable width slit, you can show what happens to the diffraction pattern when the slit size is varied. 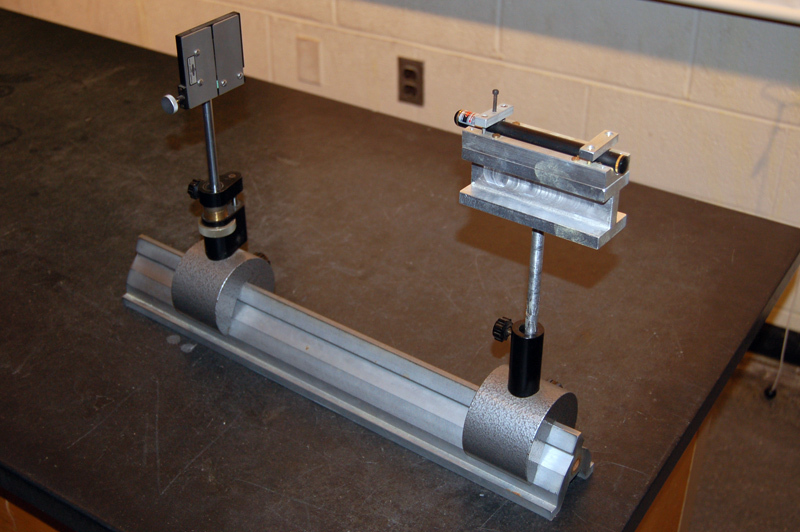 Insert the adjustable slit into the optical bench. Align the laser so it will shin on the slit. Turn on the laser and make sure it's lined up on the slit. Vary the size of the slit and note the difference. To open the slit, you turn the knob clockwise.